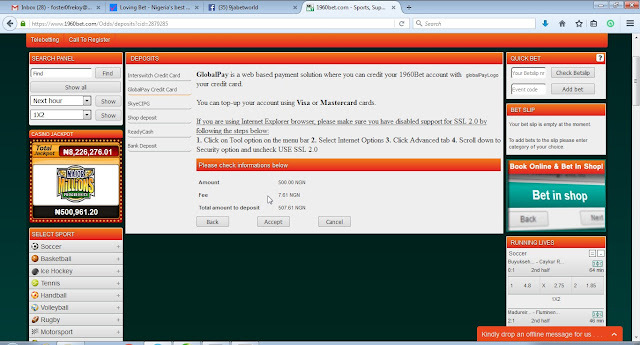 GlobalPay/interswitch is a web based payment solution where you can credit your 1960Bet account with your credit card. You can top-up your account using Visa or Mastercard cards. But if you are using opera mini ,Mozilla , and Google chrome you need not worry about to disabled support for SSL 2.0. 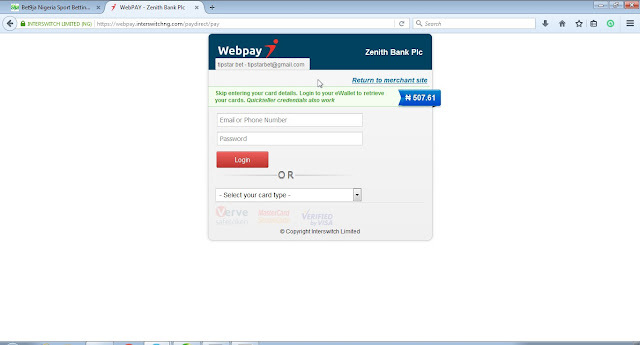 * Deposit fees charge applies: If you use WebPay as your deposit option, we will apply a deposit fee of 1.5%. Maximum charge is N2, 000. What that means is that if you wish to credit your 1960Bet.com account with N2,000, your card would be charged N2,030. If you do not want this charge, please contact alternatively an agent to credit you without charge. Make money from your Website or Blog with BidVertiser 1. If you do not have online account,You have to register as a user with them by clicking here. 4. After login please click on the 'Deposits' link at the top of the webpage, and then on the 'webpay/Globalpay' or a more faster methods the "interswitch credit card" which is the first payment option button that you see after the new page opens. 5. 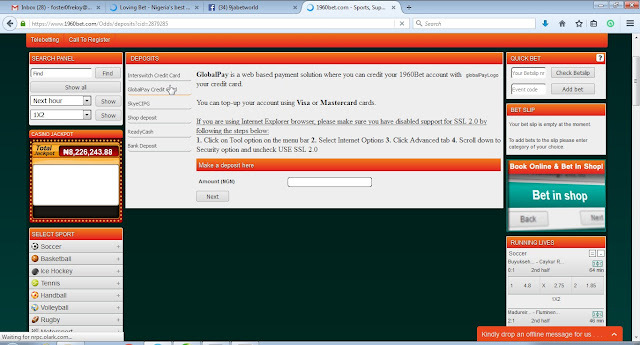 Enter the amount you want to fund your account with and click "Accept " then 'Next'.as seen below from the image. 6. You will be informed about fee (if it's defined) and total amount to pay. Click 'Confirm' if you accept it. 7. 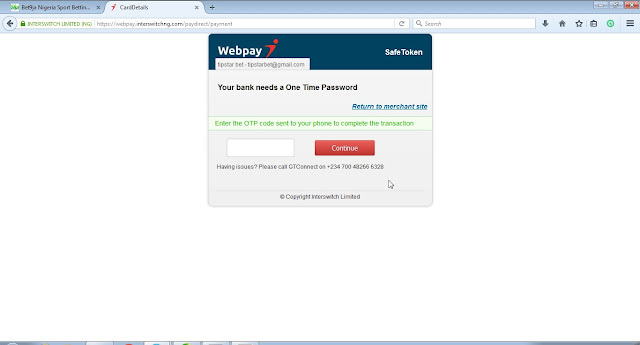 In this step you will receive your transaction ID. 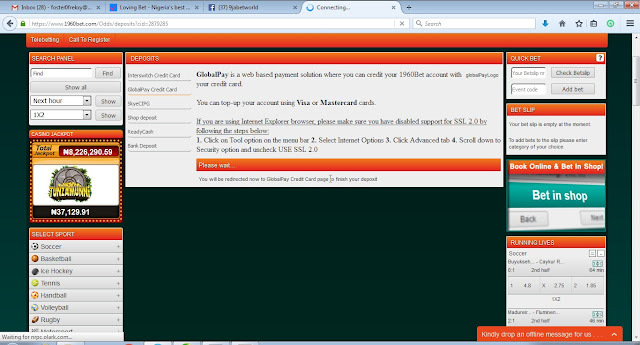 When you click 'proceed' you'll be redirected to the payment gateway page. 9. if your details is correct you will get a OPT CODE direct to your phone then quickly enter the code as seen in the image below and click on continue. 10. 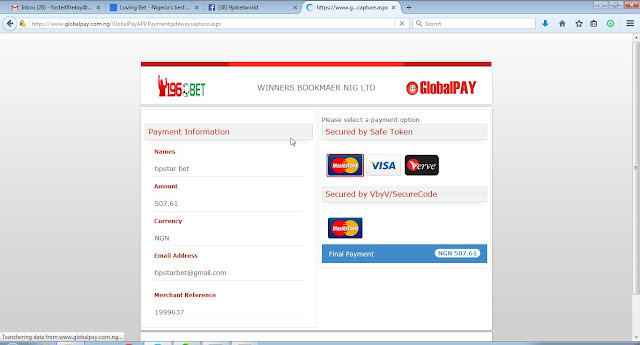 You'll be redirected back to merrybet.com deposits page, where you can view the status of your transaction. 10. 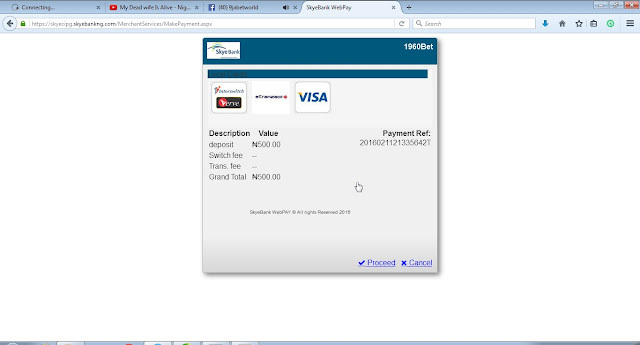 If your transaction is successful, your 1960bet account would be funded instantly, and you can make use of the funds.